At least one million women and 100,000 children are drug addicts in Afghanistan, said on Sunday (March 11) the head of the anti-drug department at the public health ministry of the Central Asian nation, Shahpor Yusuf, at an event at a drug rehabilitation center in Kabul to mark International Women’s Day (March 8). “There are between 900,000 and million women and around 100,000 children who have turned to drugs,” said the Afghan official according to TOLO News. Yusuf added that the children were all below the age of 10. According to Kabul, the rehabilitation centers in Afghanistan have the capacity to help only a small percentage of addicts. But the problem seems to be far from the number of drug rehabilitation centers in the country, which provides 93% of the world’s opium. Marwa Musavi, an Afghan woman for treatment at the center, said that it is useless being there. These numbers much likely indicate that last year’s statistics released by the Afghan government is underestimated, which reported that the total of addicts in the country is over three million. RAWA stated that the Taliban and ISIS are not the only groups in Afghanistan hurting women. “US and NATO troops, and their armed forces in military operations, especially through air strikes in several provinces,” destroy homes, hospitals, schools killing civilians, including children. The C.I.A.’s direct involvement in drug smuggling goes back a long time, not only in Afghanistan but also all over the world as in the Iran-Contras scandal. The now dead governor of Kandahar province, Wali Karzai, one of Afghanistan’s biggest drug smugglers, had been for a long time on the C.I.A.’s payroll. Wali was Hamid Karzai’s brother, the former president of Afghanistan picked by the U.S. shortly after the occupation, in 2001. According to the United Nations Office on Drugs and Crime (UNODC), the total area under opium poppy cultivation in Afghanistan was estimated at 328,000 hectares in 2017. it is worth remembering that United States’ society remains the world’s largest consumer of drugs. “Thanks to its Goebbels-like lying machine of propaganda, the U.S. has been able to get away with much of its criminal activities, not just in the Afghan war, but in wars in Iraq, Libya and Syria, by lying to its people,” says Friba. In May 2009 Malalaï Joya, a human rights activist, writer and former Parliamentary expelled from office for denouncing warlords in Afghanistan, granted an interview to the Brazilian paper O Tempo (Minas Gerais state), in which she denounced that the C.I.A. sponsors drug trade and exert direct control over the routes of the annual global drug industry. The interview by Brazilian reporter Renata Medeiros was sent in full to this author. Malalaï Joya: “The only sector in which Afghanistan has progressed beyond imagination in the recent years is drugs cultivation and trafficking, and now Afghanistan produces 93% of world opium which shows a 4,500% increase since 2001. One of the hidden objectives of the war in Afghanistan was specifically to restore the CIA sponsored drug trade and exert direct control over the routes of the U$ 600 billion annual global drug industry. The Afghan narcotics economy is a designed project of the CIA, supported by US foreign policy. 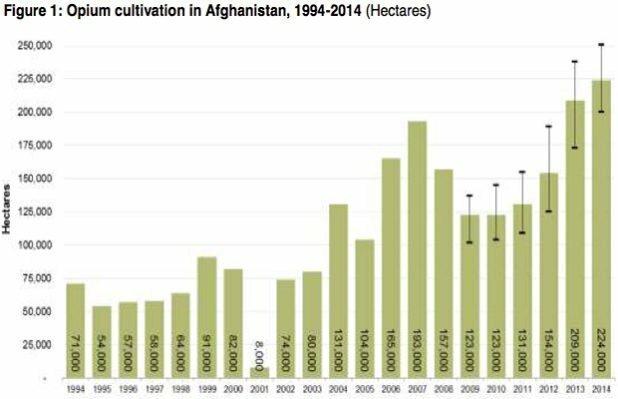 So it is very understandable to see that since October 2001, opium poppy cultivation has skyrocketed and there are reports that even US army is engaged in the drugs trafficking. Drug mafia is in the hold of power and supported by the West. Recently even Western media reported that Wali Karzai, brother of Hamid Karzai, runs the largest network of drugs in eastern Afghanistan and it is a fact that high ranking officials are engaged in the dirty business. 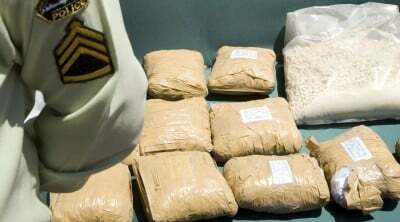 The counter-narcotics efforts are also mere lies and dramas. A former warlord called Gen. Khodiedad is a minister of counter-narcotics and another former warlord and known drug trafficker called Gen. Daud is head of the anti-narcotics drive!! These days Afghanistan is not the only top producer of opium in the world but also the largest producer of cannabis, another illegal crop from which marijuana is derived.